And they'll do it for cheaper, too. The next time you buy a house, it might not be from a real estate agent. At least, not an agent of flesh and blood. 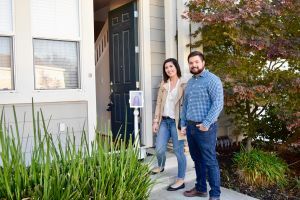 Real estate agencies and some startups have started employing robots to do some of the perfunctory jobs that their realtors typically do, incorporating artificial intelligence (AI) into their workplace. The Wall Street Journal (WSJ) highlighted three of these companies: A brokerage firm in Woodland Hills, California named REX, another California property management company, Zenplace, and a Brooklyn-based startup called VirtualAPT. Both REX and Zenplace employ robots to interface with clients. The former places a robot named REX in seller’s homes to answer questions and collect data, while Zenplace uses robots to help their human agents communicate remotely with clients. VirtualAPT built a bot that can make three-dimensional videos of real estate property. Virtual property tours are a convenience for prospective buyers with busy schedules, or who can’t physically visit a location. Robots may be able to simplify the process of buying property. They might also cut down on potential real estate agent commission costs that buyers typically have to pay. REX, for example, charges only a 2 percent commission — that’s below the 5 to 6 percent commission that agents usually bill sellers. Robots Taking Over Jobs. Again. REX founder and CEO Jack Ryan told the WSJ that he thinks AI and robots are definitely disrupting the real estate industry. But Robert Reffkin, CEO of a New York-based real estate brokerage called Compass, disagrees. Reffkin told the WSJ, “I believe that agents are critical to transactions and always will be.” He doesn’t think that this new trend will result in the layoffs or loss of jobs that automation critics typically cite when robots start encroaching on an industry. But the question remains: Could robots better realtors than their human counterparts? In any case, robots are clearly beginning to impact the real estate business. For now, this means robots assist human real estate agents or brokers. But in the (very near) future, it quite possible that robots could take over the business of selling property entirely. AI Cameras Are Here. Here Are Three Ways We Could Use Them.